Y Combinator alum Celery made its debut in 2012 as an e-commerce site that filled a need for startups after they completed successful crowdfunding campaigns on Kickstarter, Indiegogo, and other sites. Those campaigns not only funded the development of novel products, but also raised the interest of consumers who sent in a continuing wave of pre-orders. Startups could use Celery’s software tools to handle those orders and payments after their campaigns. Now Celery has adapted the same tools to allow innovative companies to bypass Kickstarter-like platforms and stage their crowdfunding campaigns on their own websites. The benefits, according to Celery CEO Chris Tsai, are lower fees and more control over the process. The San Francisco-based company has been informally testing its combined crowdfunding and pre-order service, Celery Launch, with partners including Disney, Timex, and Lockitron (which makes deadbolts controlled from a smartphone). The self-crowdfunding option, now open to the public, provides behind-the-scenes campaigning and selling mechanisms that users can customize and present under their own brands and graphic styles. While campaigning on a well-known site like Kickstarter can draw attention to a novel project, Tsai maintains that it attracts as little as 5 percent of the traffic for startups seeking financial support. They must generate the rest through their own social media campaigns, and sometimes, with “serious marketing dollars,” Tsai says. 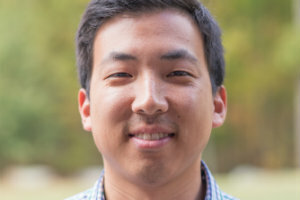 Instead, companies can use their marketing efforts to drive that traffic to their own websites from the start, Tsai (pictured above) says. After the crowdfunding campaign ends, they can easily transition the contacts they gained into in-house consumer databases, rather than transferring their backer spreadsheets from an outside crowdfunding site. Celery found a demand among companies for a self-crowdfunding platform, he says. “They really wanted to do it themselves,” Tsai says. Startups can feed their contacts from Celery Launch into the pre-ordering process and e-commerce sales powered by Celery software. Celery has raised $2 million from Y Combinator, SV Angel, and other investors. They include Max Levchin, the CEO of San Francisco-based online payments company Affirm. Through Affirm, Celery offers users the option to allow consumers to make their payments in installments over time. Users can set up a Celery Launch crowdfunding campaign at no charge. They then pay Celery a 2 percent fee per transaction, along with another 2.9 percent to cover amounts charged by payment systems, which include credit card companies, PayPal, and Stripe. That amounts to a total of 5 percent for Celery, while crowdfunding platforms charge as much as 8 percent, Tsai says. Celery Launch can be used by startups that are still developing their gadgets, band CDs, high-tech clothing, or some other product, and aren’t yet ready to ship those creations. A startup would ask backers to contribute a certain amount, with the understanding that they’ll receive the product when it’s ready to ship. In that respect, self-crowding with Celery Launch is similar to using a platform like Kickstarter. In a Kickstarter campaign, people who like a startup’s idea may pledge money just to help someone complete a project, and receive nothing more than a cool thank you card in return. Campaigners usually offer backers a range of rewards or “perks,” with more valuable items going to those who contribute the most. If the new product itself is the promised reward, it may take a considerable amount of time to be ready for distribution—if it ever is manufactured. A Kickstarter campaigner’s failure to ship, however, might attract more public comment than a self-crowdfunder’s. Rather than a range of perks, Celery Launch advises users to set a single contribution amount, with the goal of maximizing the number of transactions, Tsai says. Campaigners can, however, give backers the option to pay more, or less, than the value of the product offered, he says. Users of Celery Launch, unlike Kickstarter campaigners, don’t need to set a total fundraising goal and specify a limited time period to reach it. When Kickstarter campaigners fail to reach their goals—usually the amount they need to complete their project—they don’t receive any of the money pledged by their backers.